Solid, triple-milled shaving soap scented with a subtle blend of woods including cedar and sandalwood. A solid white shaving soap that is triple-milled to increase the quality and richness of the lather it produces. 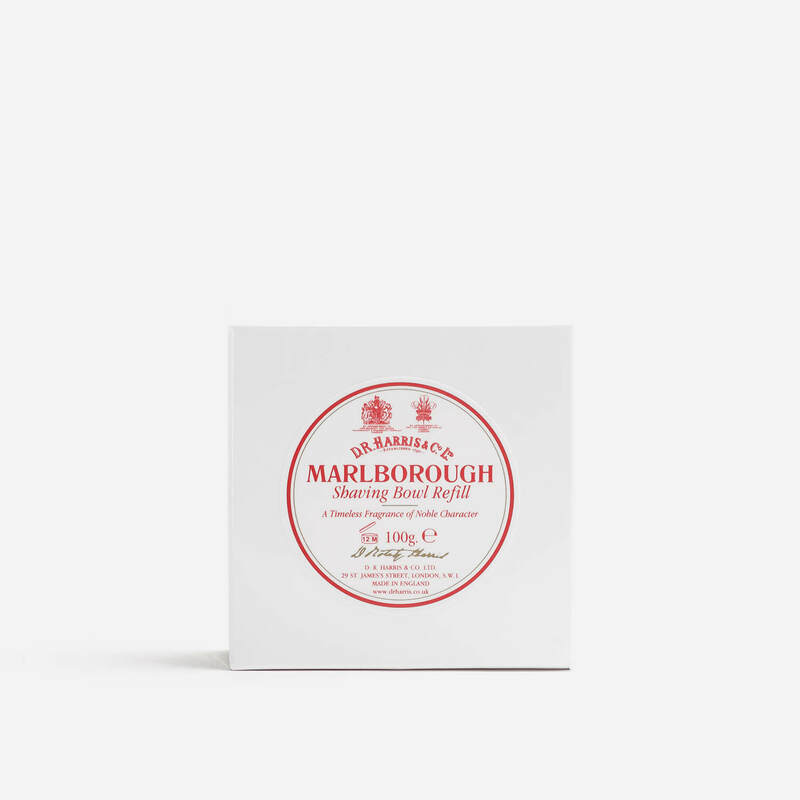 Scented with Marlborough, a subtle blend of woods including cedar and sandalwood. Made in England by D.R. Harris. Soap dimensions: 80mm x 21mm. Sodium Tallowate, Potassium Stearate, Sodium Stearate, Aqua (Water), Glycerin, Potassium Palm Kernelate, Sodium Palm Kernelate, Sodium Cocoate, Parfum (Fragrance), Coconut Acid, Petrolatum, Sodium Palmate, Potassium Palmate, Potassium Cocoate, Sodium Chloride, Tetrasodium Etidronate, Pentasodium Pentetate, Tetrasodium EDTA, O-Tolyl Biguanide, Alpha-Isomethyl Ionone, CI 77891.